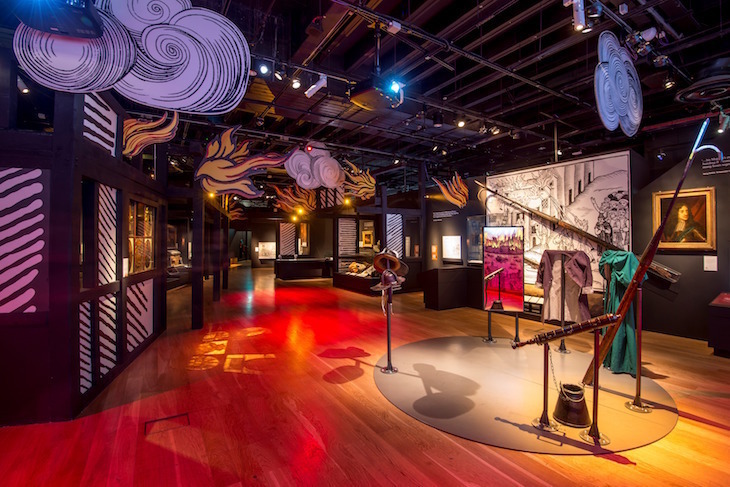 The Museum of London can't have lost much sleep while choosing the theme for this year's major exhibition. 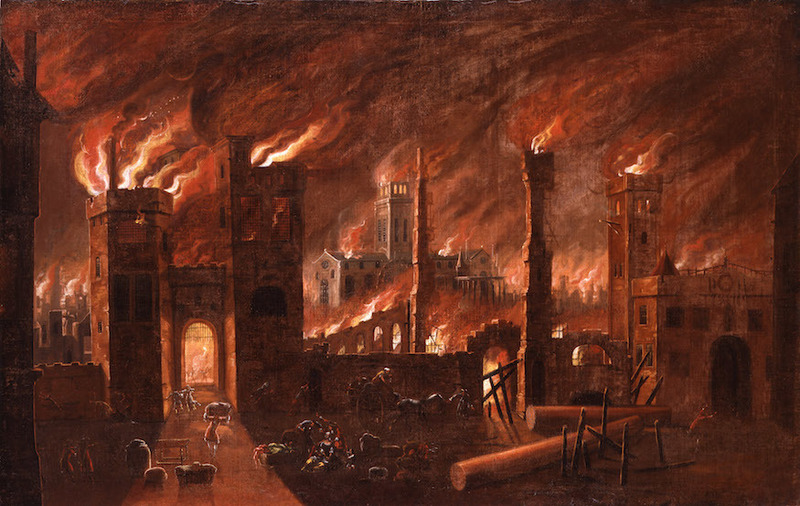 The so-called Great Fire destroyed much of the old city exactly 350 years ago, one of those huge milestones in London's history that can't be ignored. This new show provides a potent introduction to those calamitous event and the city that rose from the ashes. Expect plenty of flickering visuals, genuinely intriguing objects, and a family-friendly design that should keep everyone happy. 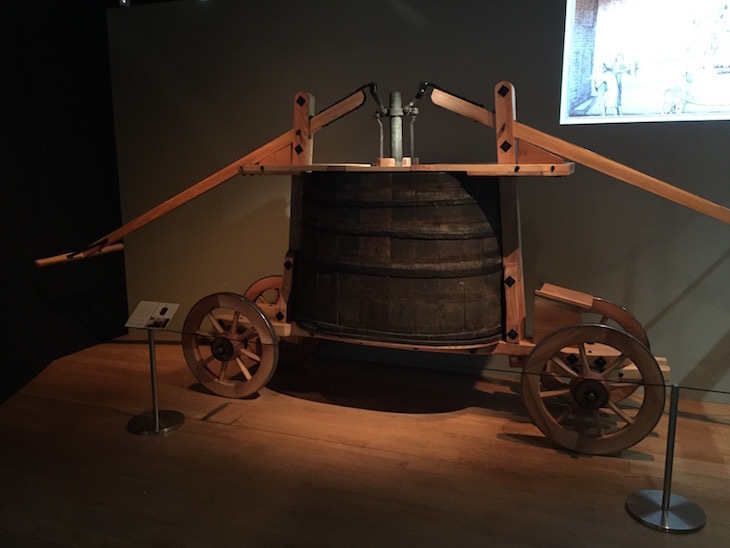 For an exhibition about fire, this is a dimly lit affair — particularly in the first section which attempts to recreate Pudding Lane, and the baker's shop where the flames began. It doesn't quite work in this respect, but is nevertheless an atmospheric introduction. 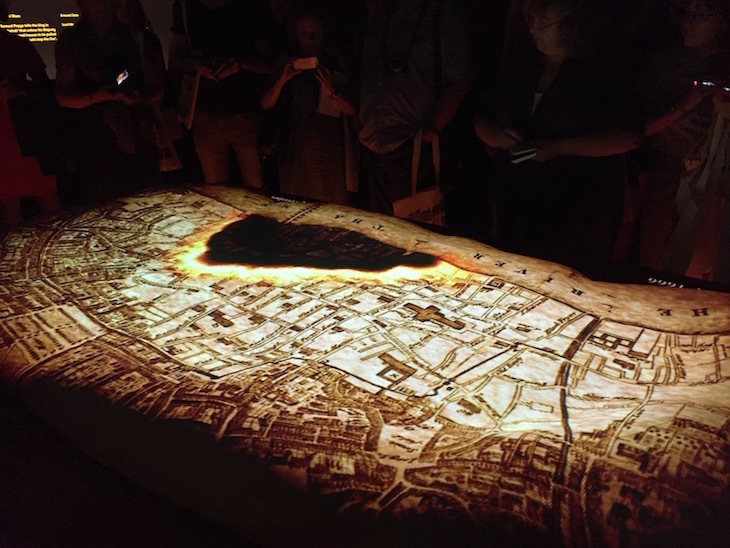 It's an animated map of the Great Fire projected onto a giant loaf of bread. This might sound gimmicky — and it is — but the device works rather well, telling a complicated story in just a few seconds of graphics. The main room looks at reactions to the fire. What did people rescue? What did they leave behind? How did the citizens attempt to extinguish the conflagration in the days before an organised fire brigade? The final rooms deal with the aftermath. Here we discover the various scapegoats, memorials and, most evocatively of all, some of the charred remnants recovered in archaeological digs. These include keys, tiles and waffle irons. One corner addresses a question we'd never really pondered before: how did other countries and trade partners react to the fire? Overall, this is a solid exhibition with the occasional flicker of brilliance. A surfeit of hands-on displays and dressing-up opportunities make this a distinctly good show for school groups and families, while still providing plenty of well-roasted meat for the adults. The experience is tainted, ever so slightly, by the overzealous airport-style pat downs and security checks one now faces when entering this once very-open museum (we recently got upbraided simply for having a loose coin in our jeans). Be prepared to queue during peak hours. Fire! Fire! is at Museum of London from 23 July 2016-17 April 2017. When booked online, tickets are a reasonable £8 for adults, £6.40 for concessions and £4 for children.